When you’re looking for the best rangefinder for the money, the first thing to know is what the primary purpose of the rangefinder will be. Figuring out how your laser rangefinder will be used will ensure that you choose the most useful model for your exact needs. In fact, since there are rangefinders for hunting, golf, and surveying, understanding your needs is crucial to the decision process. Whatever your needs, there are a few features which make the best rangefinder stand out from the rest. When a rangefinder takes in the first object in its line of view, reads it, and disregards further objects, the rangefinder is using a mode referred to as the first priority mode. If it disregards the first object in its sight and focuses past it to a more distant object, the unit is said to be using a second-priority mode. What should a person be looking for in a rangefinder? The basics of a good rangefinder are discussed below. Plus, we’ll go into an in-depth rangefinder review of the top rangefinders on the market. Let’s begin. Before we dive into any specific product reviews it always helps to take a look at some of the most important things to consider when you are in the market for a rangefinder. Let’s go through a few so you are familiar with some of the specs. First-priority rangefinders are very useful for those interested in using the device while golfing. There is typically nothing between you and the tee’s flag, assuming the flag is visible. Golfing rangefinders and some hunting one will be in the first priority mode. If you’re looking at a flag you think is about 100 yards away, it will read the 100 for the flag, and not the trees in the background which could be at 130 yards. 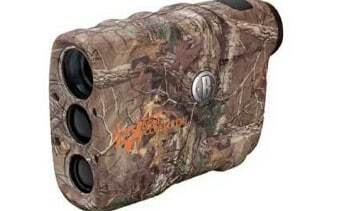 Second priority rangefinders are generally used for hunting. A second priority rangefinder used in the above scenario would read the trees at 130 yards and ignore the flag which is 30 yards closer. In hunting conditions, you are frequently in a blind or at the least, your view is somewhat obstructed by limbs or leaves. 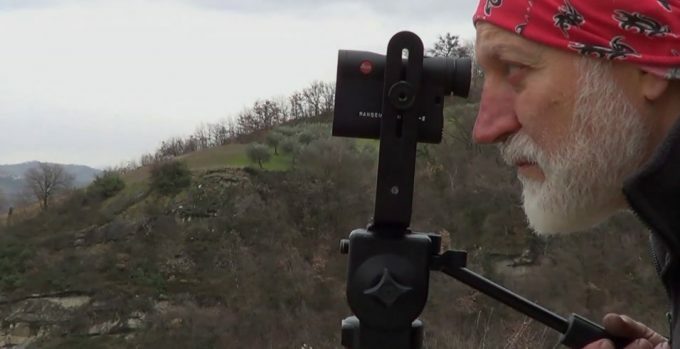 A hunting rangefinder, or second priority rangefinder, ignores the first object in the line of sights such as the branches or trees and reads the object furthest away from you, which is more likely to be your target. Can you use a golf rangefinder, or first-priority, for hunting? Of course, you can. Can you use a hunting rangefinder, second priority, for golfing? Most definitely. However, the product designed to suit your intended purpose to a tee would be more user-friendly. Additionally, it would not require several readings or the switching of modes to make sure you’re reading the correct distance. 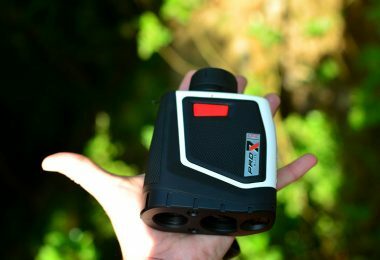 Some laser rangefinders provide options to momentarily switch from second priority mode with a pinpoint or bullseye-marked button, putting it in first-priority for the moment, and some can switch priorities semi-permanently. When sold, and marketed, rangefinders are named in a way that implies the maximum readable distance capable of that particular unit. Most misconceptions when buying a rangefinder are due to this naming habit. A unit could be labeled as a 1500-yard rangefinder, and it could provide that distance reading, but typically only under optimum atmospheric conditions on decidedly reflective large surfaces. For example, without a great deal of glare, air pollution, and heat waves on a cool day beneath a cloudy sky, the device might be able to range a smooth, silver metal pole barn at 1500 yards. Change the circumstances, increase the sun, rain, snow, or heat mirage, lessen the size or the target, darken the color, or intensify the texture, and the device will likely fall short. In most cases, a deer can be read at about a third of the maximum stated range, and almost always under half the distance. A reticle is a crosshair, or aiming point or circle, which are seen when looking through a rangefinder. Some reticles are shown as black lines which are superimposed over the object to be ranged. These reticles are frequently impossible to make out against a dark background or in low-light conditions. Some reticles look illuminated because they are LED lights. The brightness of the LEDs is unvaryingly adjustable. On the flipside of the black lines, these LED reticles are difficult to distinguish in bright conditions as they are often drowned out by the ambient light, even at the highest settings. At night, when your eyes are accustomed to the night, the reticles can be overly bright, destroying your night vision. These situations will apply to anything displayed in the viewfinder such as distance in yards. The best of both worlds lies in a black reticle and information which also provides a button for backlighting. The backlighting is far less bright than in a LED and provides the capability to view information in all light conditions. 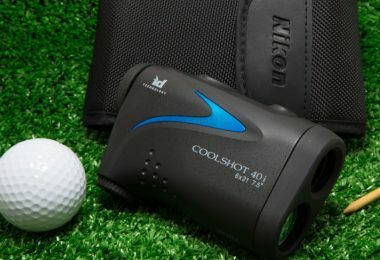 Below you will find an in-depth look at the best rangefinders available now. We’ll list the important features of each device as well as the advantages and downsides of each. Now that you have a good idea of what to look for in a quality rangefinder we’ll take a look at some of the top products out there. While all of these are great devices, you’ll want to find the one that will best match what you want to take on. 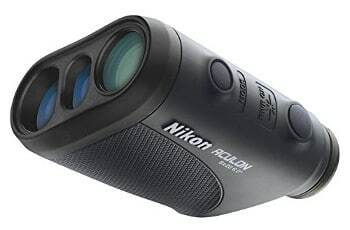 The Nikon Aculon is a second-priority laser rangefinder. This is water-resistant/rainproof and is designed to be compact and lightweight. Operating the device is meant to be intuitive and requires a simple push of a button, offering an instant distance reading. With the button held down, it offers a continuous measurement for up to 20 seconds which can be strolled across the area. The display is simple and meant to be uncluttered so you can see your targets clearly. The Aculon powers down after eight seconds of inactivity. The device is programmed in second-priority mode – meaning it will display the range of the furthest target amongst a group. The device has 6x magnification and a 20mm objective lens. It also features long eye relief (16.7 mm) and is made using Nikon’s multilayer coated optics. These offer an even greater light transmittance across the entire visible light spectrum to minimize the loss of light due to reflection, creating a more natural, clearer view. It displays at one-yard increments and will require a CR2 lithium battery. This device is best for hunting at closer ranges as the maximum 550 yards in the range may not be possible in every situation. Users have also found the device may not provide accurate readings in low-light conditions. Related: Nikon Recon Gear Retractable Rangefinder Tether is used to keep the rangefinder from coming loose. It gets to your rangefinder quickly with a retractable tether; clips to belt or vest. The Carl Zeiss Victory offer one of the best possible views in the world with maximum resolution, exceptional brightness, and clarity. The device is very sturdy and is recoil proof, waterproof, and nitrogen filled. The laser beam hits your target and is reflected. An illuminated reticle is used to accurately locate targets up to 1,300 yards. The 56mm objective lenses with T* coating allow for increased light transmission enhancing clarity and twilight performance. This device can boast razor-sharp detail, color intensity, and image brightness, especially in twilight conditions. Along with the wide fields of view and exceptional close range performance, the LotuTec® coating offers clear views in wet conditions. 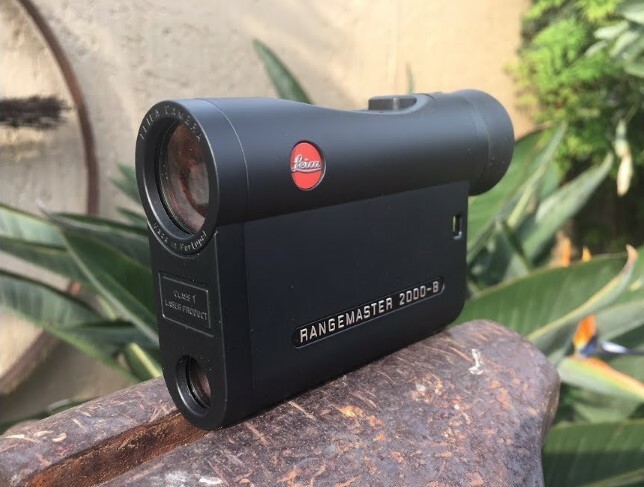 The laser rangefinder provides readings instantaneously and a scan mode provides a high-precision laser range-finding technology, meaning that you can use a narrow measuring field to measure small and moving targets with repeat accuracy, even in low light conditions. The ballistic information system, BIS®, provides all the information you need to correct the holdover point quickly. This software uses the selected ballistics curve, the caliber class, and the distance measurement to perform the correction. When the BIS® is activated, the corrected value for the point of impact will be displayed on the luminous LED display. The one-touch button also reduces errors caused by movement and unsteadiness. The device is waterproof and dustproof. It is also filled with nitrogen to ensure reliable function and condensation-free inner workings. The main downsides to this device are the fact that the binocular form make it heavy and the ballistic functions are accurate to about 500 yards. If you’re using your device for long-range hunting the extra weight of carrying around these binoculars and the limited yardage could be a major drawback. For mid-range or close-range hunting, the device is a good fit. 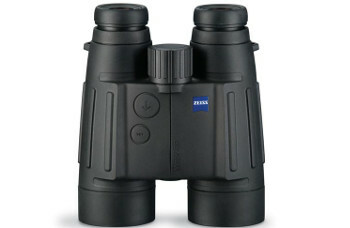 Optics give you the best possible view of the world: maximum resolution, exceptional brightness, and absolute clarity. High mechanical sturdiness as well as recoil proof, waterproof, nitrogen filled. The laser beam hits the object and is reflected. 56mm objective lenses with T* coating allow for more light transmission enhancing clarity and twilight performance. Related: To keep these securely attached and your neck comfortable look into getting the Zeiss Comfort Strap. 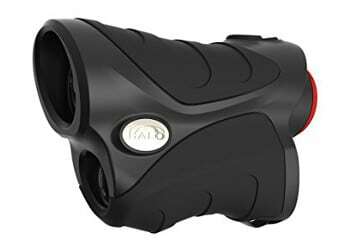 The TecTecTec VPRO500 Golf Rangefinder is a laser rangefinder which measures up to 540 yards and provides a continuous scan mode, advanced Ping sensor technology, and a water-resistant body. Ping sensor technology offers fast measurements within 1-yard accuracy. This can measure overlapping subjects, making it perfect for measuring golf flags, hazards, and wooded areas. The lens display offers ultra-clear, multilayered optics with easy-to-read displays of distance and battery life. The device is lightweight and portable in addition to being water and dust-resistant. The TecTecTec VPRO500 uses the latest technology to provide accurate range-finding. The device can measure range quickly and has diopter adjustment functionality to offer a clear view. The VPRO500 has three scanning modes which are suitable for several situations. ProScan mode offers the ability to continuously scan a 540-yard area around the flag. The allows the distances of hazards in the area to be displayed as well. The device requires a CR2 battery. The main downside to this device, as reported by customers, is that the body of the device is only designed for regular wear-and-tear, making it susceptible to damage in rougher situations such as hunting or trekking. Related: Pairing a rangefinder with a spotting scope is always a good plan when shooting or hunting. This gives you the ability to check the target area and have a good distance to the target. A great option would be the Emarth 20-60x60AE Spotting Scope. 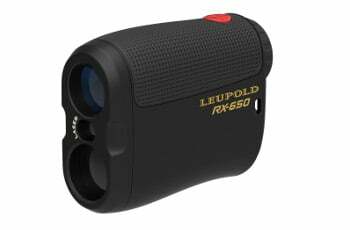 The Leupold RX-650 Micro Laser Rangefinder offers a simple and easy to use option for those looking to range items in shorter distances whether golfing or hunting. The device requires a CR2 Lithium Battery and provides 6x magnification, fully multicoated optics which allow the lens system to create a bright, pristine image, as well as clicking fast-focus. This fast-focus eyepiece allows for precise clicks for quick adjustments in the field. This also offers Scan Mode. Here, continuous range updates keep the user on target as he or she tracks movement or scans a space. The Line of Sight Distance allows for measuring the straight-line distance to the target. The actual max range on a hunting target is 575 yards where the max on a reflective surface is the full 650 yards. The main downside to this device is that the clarity of the images is reduced in low-light and at night. Additionally, the device is designed to be compact and lightweight meaning that it could be more susceptible to damage when hunting. The Bushnell Bone Collector Edition is a solid option for hunting. The bone collector laser rangefinder offers an in-view LCD display which provides the exact distance to a target from 10 to 600 yards. This is also usable with a single button. The 4x magnification and clear optics provide precise images of whatever you are sighting. The device is efficient and compact. The vertical design and weather-resistant housing make it durable and easy to carry. It also offers accuracy to +/- 1 yard. A case is typically included and it displays the exact distance to a target ranging from 10 to 600 yards. 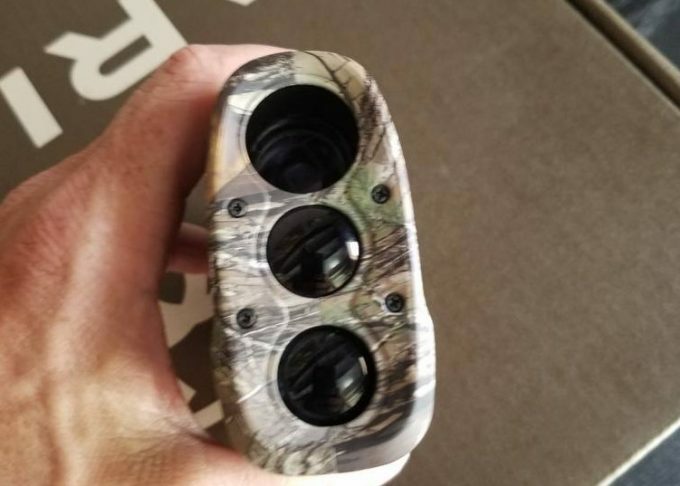 The exterior of the device is also designed with a Realtree Xtra camo pattern. 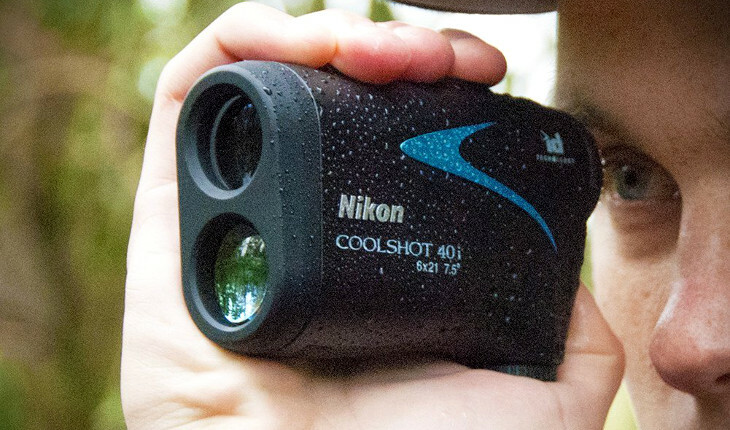 This rangefinder is designed to be rugged and rainproof. This runs off a 9-volt battery. The downside of this device is that the readings are not as accurate in low-light or night and the maximum distance on a deer or fur covered target is only 200 yards. There have also been customer-reported issues of the ranging not being as accurate as indicated with the +/- one-yard accuracy. This could be a flaw in individual devices but the company has not released a statement. Related: When out in random grounds, it’s easy for you to take the wrong path and lose your way. You’ll want to invest in a good, easy to carry GPS system like the Bushnell BackTrack Original G2 GPS. It uses advanced digital technology to auto-calibrate and gives the exact location whenever you need it. It can also store up to three locations to help you recall where you’ve been so you’ll never get lost. The Simmons LRF 600 Laser Rangefinder offers accurate ranging while being easy to use. The LRF600 is made with care and top-notch construction quality so that users can enjoy the device for years. The Simmons Laser Rangefinder provides an effective range from 10-600 yards, including 4x magnification for quick target acquisition. When targeting a deer or fur covered target, users can expect a distance range of 200 yards. A tree is workable up to 400 yards and highly reflective objects up to 600 yards. 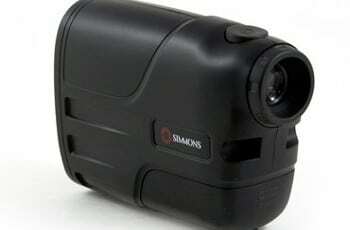 The Simmons Hunting Rangefinder 600 also emits invisible, but eye safe, infrared energy pulses. This technology instantaneously computes distances by measuring the time required for each pulse to leave the rangefinder, hit the target, and bounce back. The device can be used in yard or meters. This runs off a 9-volt battery. Again, the main downsides to this device are the much shorter distance ranges for trees and deer in addition to the very light weight design. 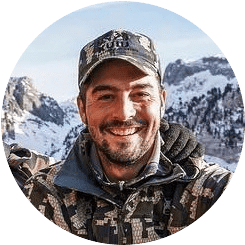 Many hunting customers have found that the device needs to be treated delicately, making it an unsuitable choice for rugged hunting and trekking. Related: With any rangefinder, you should consider a case to keep it safe. For this on the FitSand Travel Carry Hard Case is a great option to keep your investment protected on trips. 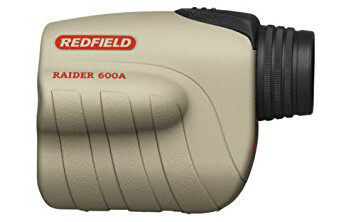 The Redfield Raider 600A Rangefinder is a rangefinder suited toward shorter distance hunting. The device offers 6x magnification with a 600-max range off a reflective surface. The rangefinder also provides a high-speed digital processor and powerful laser for fast, precise ranging. The magnification allows for a very close-up image of the target. Integrated technology within the device measures incline/decline, which means it can offer true horizontal “shoots like” distance. The device is stated to be accurate to +/- 1 yd. There is also simple one-button operation and helpful Scan mode for continuous ranging. The fully multi-coated optics provide optimum light transmission and clarity. The device uses one CR-2 battery. The downsides to this device are the limited ranging which is similar to the previous models and the sight quality is reduced in poor lighting and at night, also similar to the others. Related: The Clicgear Rangefinder Storage bag is a gear place to keep your rangefinder safe and secure while out on the golf course. 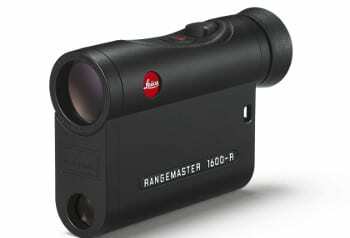 The Leica Rangemaster CRF 1600-B features a newly developed ballistic function known as the ABC – Advanced Ballistic Compensation. This device accounts for air pressure, temperature, and angle of inclination to provide holdover values depicted in one of three output modes. The modes include one which provides linear holdover values in inches or centimeters. Another which provides a true horizontal distance equivalent to target in meters or yards. The last mode provides a holdover in 1/4 M.O.A (mil radian). This device uses the same 12 pre-programmed ballistics curves as the CRF 1600 model. However, holdover values are given from 100 to 880 yards as compared to the 500 yards on the CRF 1600. It requires a CR2 battery. The max range is 1600 yards. The rangefinder also offers AquaDura coating on the external lens, making it waterproof in up to 3.2 feet. This device also provides the eye-safe, invisible-light laser. This is one of the superior models of the rangefinder. The only downside is that the device uses battery power quite quickly. This is a part of the highly-advanced tech options available on the device, they simply use the power much more quickly. Related: Leupold Alumina Flip Back Lens Cover is bought to cover the lens of Leica rangefinder. 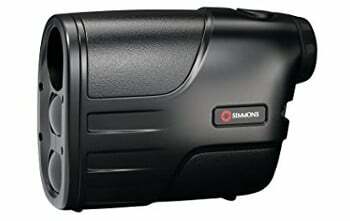 This Simmons Rangefinder features an in-view LCD display which offers the precise distance to a target from 10 to 600 yards. Plus, the operation is as simple as pushing a single button. The rangefinder also provides TILT Technology, 4x magnification, and clear optics. The device requires one 9-volt battery. The Simmons Laser Rangefinder also recalibrates with every shot, giving users an accuracy of +/- 1-yard. The compact and weather-resistant design offers a lightweight option for casual hunters. When using the device on a golf course or hunting grounds, it is small enough to go inside a pocket. The vertical design also allows it to fit snugly in your hand and can be used with a single hand. The main downside to this device is that it has some errors when providing ranges under 100 yards. Additionally, the device doesn’t offer an eye relief for those who wear glasses. Related: This rangefinder is mostly bought with Stick It Magnetic Rangefinder Strap. This device has a Magnets in the strap that allow you place your rangefinder and keeps it handy and it Sticks easily to a cart or clubs. The Wildgame Innovations Halo X-Ray Z6X provides a maximum range of 600 yards based on a reflective target. The device also provides AI slope accounting technology. It features 6x magnification and scan mode, which allows for continuous ranging. The accuracy of the device is set at +/- 1 yard. It is water resistant and uses a CR2 lithium battery. The device is capable of measuring distance in yards and meters. 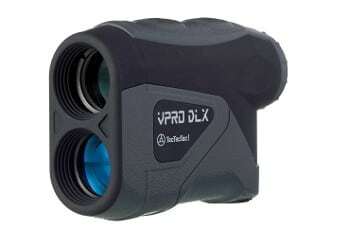 The device also features a laser rangefinder designed for increased accuracy. This device received quite a few customer complaints stating that it was not functional at all or in a very limited manner right out of the box. Since this device appears to only be sold through resale sites, it is quite possible that faulty refurbished models are being sold. This risk in buying the device makes it more undesirable than others. There you have it. As you’ve seen there are quite a few different options available which can suit a variety of needs and situations. Now, you’re ready to choose the best rangefinder for your unique situation. Weigh the pros and cons of each option and remember that spending more on a quality piece can make a huge difference. Ask yourself what your primary use for the device will be and let that guide you. Additionally, keep in mind that the device may take some time to get to know and you’ll always want to have time to test it out. Lastly, we’d love to hear from you. Do you have any experience with our picks? If so, let us know in the comments section below.